NDP Leader Jack Layton rolled into town today. Daveberta has more pictures for your delight. 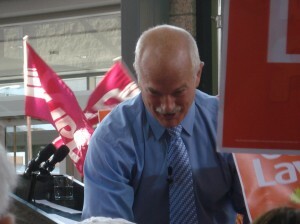 The rally was about kicking off Ray Martin’s campaign for Edmonton-East. Martin has made the jump from the Alberta NDP after losing his seat in the past provincial election. It looks like a tough road for Martin, but hopefully he can get his word to the streets and win some voters. 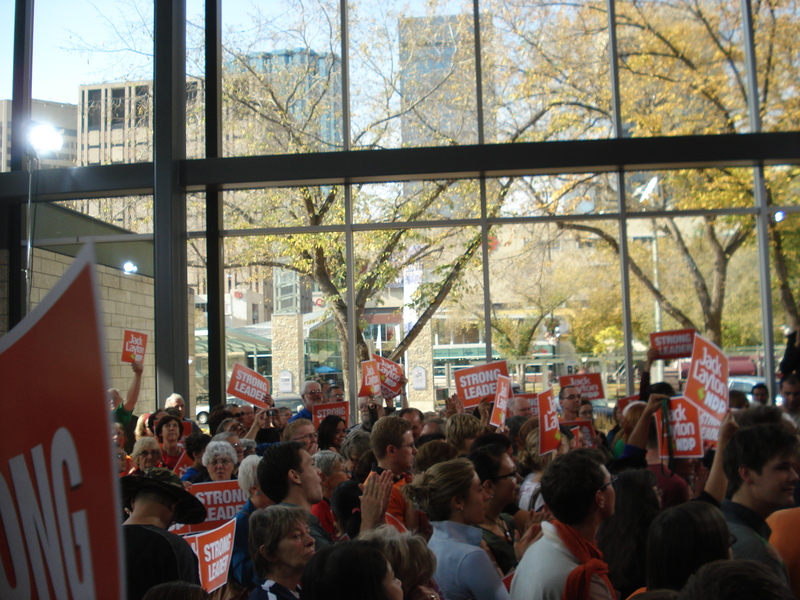 The rally also threw a bunch of momentum by highlighting Linda Duncan as the NDP’s best hope in Alberta. Hey! Sorry I missed meeting you “in the flesh”. Glad you got some video of the rally!